So I've been moving forward with making some 3d assets for the new project. 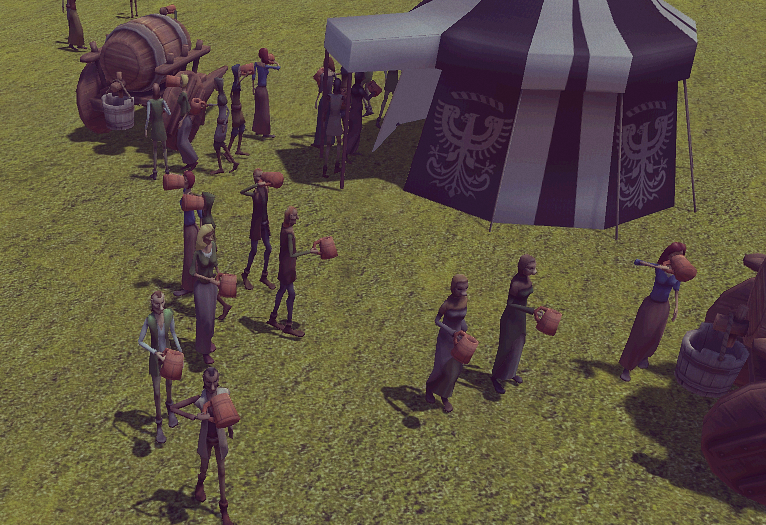 Most recently I've been making a series of medieval peasants that will form a dynamically created crowd. Here's a (fairly long) image showing the creation of the latest lady (was thinking of making this into an animated GIF slideshow but not sure it would work in the forum?). Anyway it begins with initial sketches, then a drawn profile, then that is used in blender to create the 3d model. 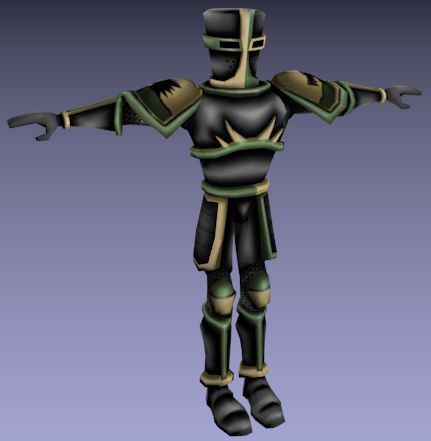 Once that's created I move on to texturing (or "colouring in" as I call it). You might notice that the pallette is only black & white. 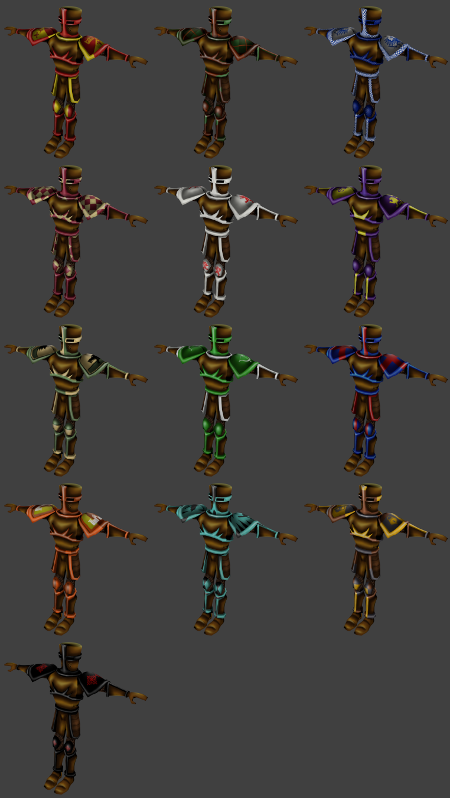 That works like a mask, so several colour schemes can be made for the same model. She's not in extreme fine detail like some of the exciting sculpts you might get on poly count. That is intentional since the game will be "top down", meaning you will only see the models from a distance and I'm aiming for a certain style as well. Yes, I suppose there is. I've been working on textures so long it almost feels like I've done nothing else . I have been giving a lot of thought to the setting for the new project. I didn't know whether to make it part of the real world, complete fantasy, or not address it. There are pros and cons to any of those approaches. Broadly, the main benefit of a fantasy setting is that it allows for using anything you want: monsters, potions etc. You can also make your own lore which is fun. However the project I am working on is concerned specifically with the medieval tournament, and I felt lent itself far more to existing in the real world somewhat. I thought I would cheat a little bit, and have it set in a fantasy location that is thought to be on Earth, such as Avalon or Atlantis. Then you could have visitors from real nations but at the same time know that to an extent it is not a completely historically accurate recreation. I have come up with 13 playable houses, based on suggestions from this thread. In the previous post I mention how I created a range of textures (or "atlas") for one peasant. 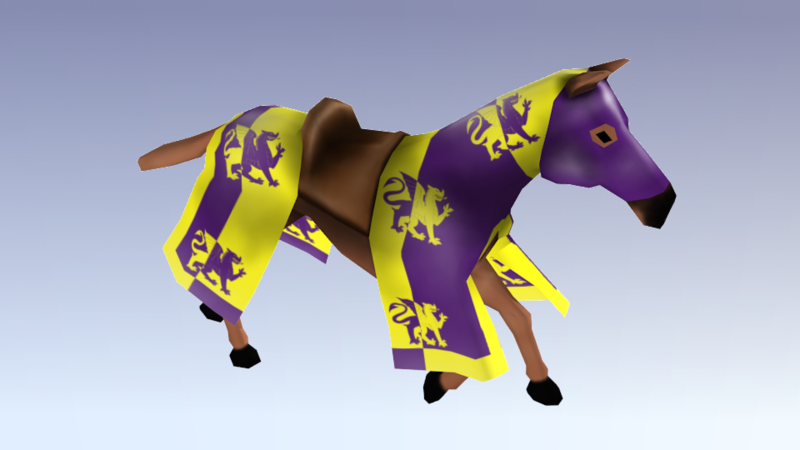 Well I've done the same thing for the knight, and made 13 variants for each house. I'll do that for any related models too (e.g. horse, shield etc) so you will be able to spot your champions at a distance. 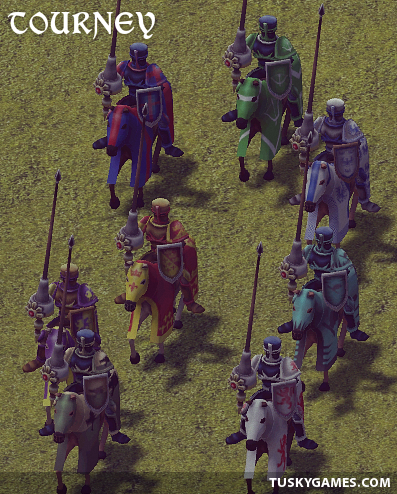 I am hoping it will serve the same purpose in the game as it used to on the medieval battlefield, allowing commanders to be easily recognised amongst large armies. Well I completed that process for the knight. Here is a swatch to show you the results (in bronzed armour this time). So once that is done I also need to do 13 accommodation tent textures and then maybe I can get back to actually doing some development on the game mechanics, which seems like a distant memory at the moment. I decided to call the game "Tourney", which I think sums up what it will be about! Ooh this looks neat. I like the use of color pairs rather than just straight colorizations for each of the 13 houses, so they don't look too similar. Do you have 13 flags / logos ready that you can show us? I think Avalon is indeed a really good starting point location, as it has the classic Arthurian vibes. You could have two or three other tourney locations - maybe as unlockables, each one basically giving you a reskin of the tournament field? Atlantis could be a blue/classical themed one, and you could add Prester John's court (mythical medieval Christian monarch in central Asia who the crusaders kept hoping was going to turn up and save them all) as a more Byzantine/Orthodox themed option. If you want to expand even further, you could add Gulansharo, the City of Flowers, which is a far off and mysterious realm in medieval Georgian myth and could be more medieval east/south Asian themed (or anything else themed - it's not made at all clear where Gulansharo is in the poems). Thank you! 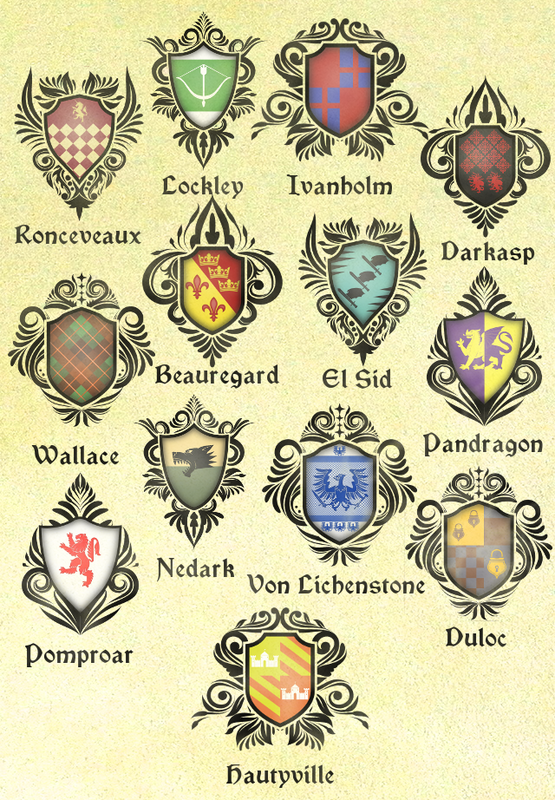 Yes I have a big old list for each of the houses colours, crest logo/s and pattern to keep them consistent. It's a surprisingly involved challenge actually. I don't have the crests themselves yet. I'll be working on those next - since I just finished the last horse! I'll pop them on here once done so you can see. Aw, but Warless and Haughtyville were such good puns. Oooh, neat! I especially like Ronceveaux, except that the squares at the bottom just barely don't line up. That looks really cool!!! Great work! I especially like Ronceveaux, except that the squares at the bottom just barely don't line up. I'm not really annoyed by the way, I think I got the hype for that game as soon as they announced it! In fact it makes me wonder: They've been working on that game for aaages (was announced in 2012) and I imagine I'll be working on tourney for 1.5 / 2 years so maybe I'll still beat their release?! ?